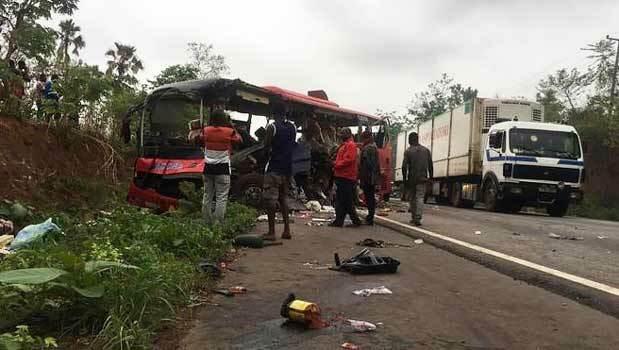 At least 50 persons have been reportedly killed in an accident involving two public transport buses in Ghana’s middle belt region. A journalist with the privately-owned Multimedia Group, Anass Sabit said the accident occurred in the early hours of Friday in a town called Ampoma in the newly created Bono East Region. Reports say one of the buses caught fire after the fatal crash on the Kintampo Techiman road, worsening the already bad situation on one of the most important routes connecting two parts of the country. The accident involved one of- Ghana’s biggest privately owned long distance bus companies, VVIP.